Black Wanderer is the newest musical venture by Daniil Kazantsev of Algol and Stuzha. Each of his three projects deliver a totally different form of music, all fitting within an ambient framework but each having its own template of execution. Algol is a space ambient experience, with a style similar to that of Sphare Sechs. Stuzha is a chilly dark ambient sound drawing comparisons to the likes of Ugasanie and Northaunt. Black Wanderer is a dark cinematic ambient project which includes many samples from films to build a set of narratives upon a guitar/bass heavy form of dark ambient. The basics of Black Wanderer are quite stripped down. There is little in the way of field recordings or synth-crafted drones. The bass guitar provides a basis for the project. The electric guitar adds a brighter set of textures. While these two instruments provide the droning elements there is a heavy usage of film samples. The instruments are not used in a technically complicated manner. They often deliver sustained single notes. The bass guitar builds a thick and atmospheric foundation for many of the tracks. Meanwhile, the electric guitar often picks higher pitched single notes, giving the necessary emotional charge to the mix. Hostile Territory focuses on several films in particular to provide the narrative. The Thing is heavily sampled on the Black Wanderer album, a film which by most accounts is a classic in the horror/sci-fi genre. Focusing on a maleficent life form which crash lands deep in Antarctica, The Thing spreads from person to person, fully mimicking its hosts. On “What Appears To Be Normal” Black Wanderer uses a clip in which the doctor first realizes that the thing is capable of mimicking humanity. The track is complemented with some sort of horn to add a bit of character to the narrative. Again on “Hide Inside and Imitation”, we hear another clip from The Thing. Kurt Russell is sitting in his bedchamber, taking notes about their current circumstances on an audio recorder. “…nobody trusts anybody, and we’re all very tired.” is recorded, just before being erased. The quote adds a deep sense of tension to the track. The gently shifting drone-work is again complemented by a lonely guitar, using single notes to add suspense to the atmospherics. On “Freedom to Act Irresponsibly”, Black Wanderer uses sound clips from the film The Day The Earth Stood Still. Documenting a conversation between an American official and an alien life form, Black Wanderer produces a chilling effect on the listener. The conversation plays with the idea that mankind would never be able to come together in unison to decide upon a coordinated response to the coming invasion. While its an interesting conversation, the general feelings that it invokes in the listener allow it to become a contemplative experience. The electric guitars and bass work in unison here create interesting textures which lend themselves to a thought provoking atmosphere. They give listeners ample room for mulling over their own interpretations of the sound clips. “Freedom to Act Irresponsibly” seems to be a bitter more doom-laden than the previous tracks. It suggests that mankind would never be able to work together, and that these alien lifeforms would most likely remove our human race from existence. The use of so many audio clips from films makes Hostile Territory a more demanding listen than we are used to from Algol or Stuzha. As a stand-alone album, it becomes a more thought provoking experience. Especially for fans of these old films, there will be a lot of nostalgic value. For listeners that are not familiar with these classics, there is sure to be a good deal of interest taken in the subject matter. For fans not interested in active listening, preferring a passive ambient sound to complement their reading, studying or gaming, there will be a bit less interest. The other projects Algol and Stuzha are more in line with this passivity and either is a perfect pairing to study. As Daniil Kazantsev already had two projects with this general focus, it makes sense that he wanted to move outside that template and make an album with different goals and procedures. 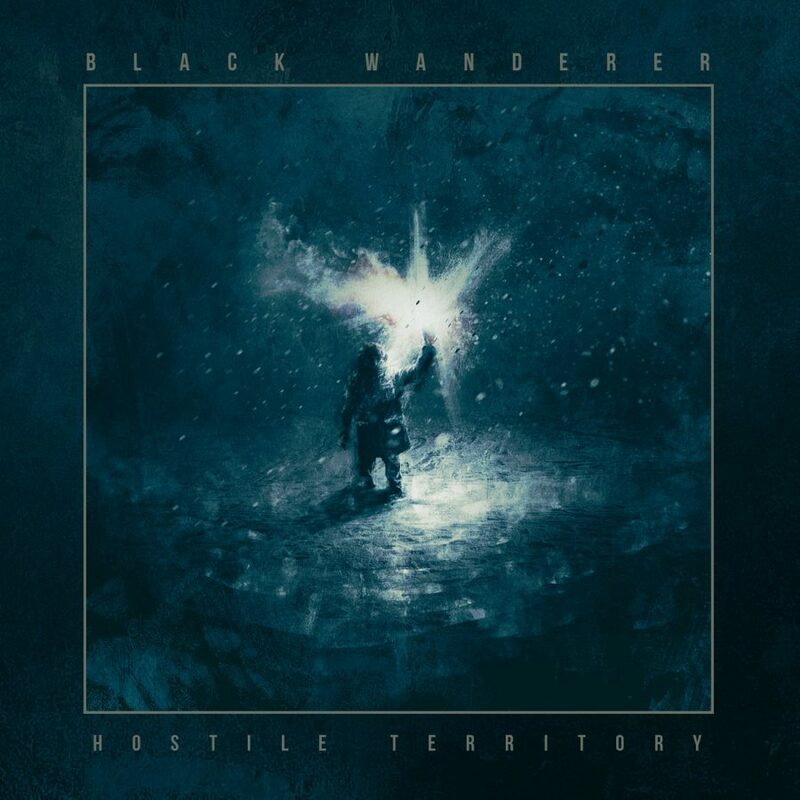 Hostile Territory is a welcome addition to an already impressive catalog from this artist. It provides us with a totally fresh set of ideas from its creator. There are likely many more directions that Black Wanderer can be taken in the future. The focus on these older alien-influenced sci-fi films doesn’t necessarily have to stay as the primary subject matter for Black Wanderer to keep its template and hold the attention of listeners. While technically it isn’t quite as innovative as the latest Stuzha album, it still holds a great deal of emotion and interesting content. With three musical projects, Black Wanderer being by far the newest, it seems reasonable that Kazantsev will continue to evolve as Black Wanderer and further hone his skills on this project.